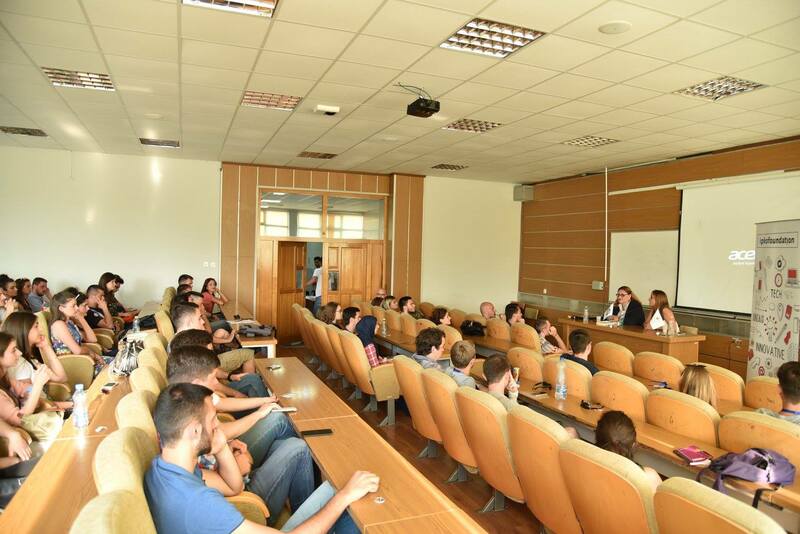 BarCamp Prishtina in cooperation with Prishtina International Summer University came together for a special edition of BarCamp, discussing the topic of European perspective of the Balkans-Kosovo. The summer heat felt like a cool breeze compared to the heat of the topics, discussions and interactivity that followed this edition of BarCamp! While offering both local and international students a place to acquire knowledge during summer, the relationship between professors, students, and the university itself remains vague as most of them are not aware of each other’s attributes or feats. BarCamp PISU offered the place to learn more about the summer university, get to know some of the professors, and familiarize the participants with the focal point of their education over the next two weeks. Speakers of this edition were Basak Alpan, Assistant Professor and a Lecturer in European Politics and Political Sociology at the Department of Political Science and Public Administration, Middle East Technical University, Ankara, and Miruna Troncotă is a Lecturer and Researcher at the Department of International Relations and European Integration in the National University of Political Studies and Public Administration (SNSPA) in Bucharest, Romania. Basak Alban started her talk off discussing about European Integration, the history of formation, the Maastricht Treaty, and the Copenhagen criteria. She discussed the notion of enlargement and it’s challenges, going into the Balkan enlargement as well and dealing with post-conflict issues as well as historical background for some of the balkan states enlargement and development history. Basak shared a lot of her viewpoints on the above mentioned topics, and challenged the audience to redefine how they see these issues in the context of Kosovo being developed day by day and growing as a country. Miruna Troncotă challenged the audience to think about how they feel regarding Europe every day, using some simple metaphors as her tools to start with: She compared the EU conditions and rules for the Balkans to a school uniform – although they may make students feel belong, it may not be the best solution to inclusion. She also went on to compare the Balkans to “students who were not obedient and not respectful to the EU-s conditionally as well as blaming the Europe for their failures”. This made the process of enlargement last over a decade. She also commented on the fact that the biggest challenge to Kosovo’s integration was the Visa liberalization and the Brussels agreement. After the speakers closing remarks, students engaged in a fiery interactive discussion, as each of them had different points of view regarding the speeches and opinions shared. Students had opinions such as the European Union blaming Kosovo for the failures of Eulex because of corruption, the European Union cannot teach Serbians and Albanians about coexistence because they are not familiarized with the reality of the Balkans, and etc. The 44th edition of BarCamp Prishtina closed with the speakers inviting the audience into active conversation after the edition. This edition also closes the 2016/17 season of BarCamp Prishtina. We will be back with fresh editions for the 2017/18 season in September of 2017!